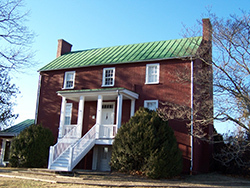 Welcome to the new website for the Nelson County HIstorical Society. We hope you enjoy and take advantage of the new features this redesigned website offers to our members. While many of the links are available to the public, in order to access many of the pages/resources included on the website you must be a current member of the Society. Please consider taking a few minutes to join now and begin exploring all the site now has to offer. First, in order to login, go to the Member Login link. You will be prompted for a username and login. Once logged in, you can go to Member Profile and under the tab Member Settings change your userid and password. We strongly encourage you to do so at this time. If you membership has expired, you will be prompted after clicking on Member Login to Renew your membership. While in the Member Profile, feel free to update any information located there. If you have not previously provided us with an email address, please do so. This will allow us to keep you informed on upcoming events, enhancements to the website, and other information that may be of interest to you. While there, you can also add the surnames of any Nelson County families that you may be researching. This will allow others to contact you (no email addresses are shared) to collaborate on research. Surnames that have been entered into the system will appear under Surname Research in the left column. A searchable listing of the Society's archival holdings at the Nelson Memorial Library and at the Oakland Museum can be found under Society Archives. In some instances, digitized photographs may also be available through the online catalog. We hope to increase these digitized offerings in the future. Digitized images of several newspapers in the days after Hurricane Camille (August 19-20, 1969) are included under Hurricane Camille. Oral histories and videos are also included under Hurricane Camille. A "Google-based" search engine for searching across the website is also included. Note: this search engine does not search the archives catalog. A separate search engine is located with the catalog for searching. All previously published issues of the Nelson County Historical Society's newsletter are also included under Member Login. Research Resources includes listings of the folders held at the Nelson Memorial Library for churches, communities, families, homes, mills, and post offices. It also includes a listing of links to outside sources with information on Nelson County's history and families. We hope you find these enhancements and resources of value. We welcome feedback from our members as we strive to continue to add content to the website. Your patience is appreciated as this is a work in progress, fueled by the energy of several volunteers. Oral narrative with interviews and photographs about local citizens who held, or were assigned, key positions of responsibility in the wake of the Flood. Dr. Jeff Halverson, University of Maryland (Baltimore County), presentation on the weather phenomenon that caused Camille and its impact on the land.